The occasion was also graced by Secretary General Uttar Pradesh MP Aggarwal, Additional Chief Executive Noida AK Srivastava, Ambassador of Thailand - Chutintorn Gongsakdi, Ambassador of Azerbiajan Dr. Ashraf Shilhalvyev Ambassador of Uzbekistan Farhood Arziev and Minister Counsellor Embassy of Japan Kenko SONE. 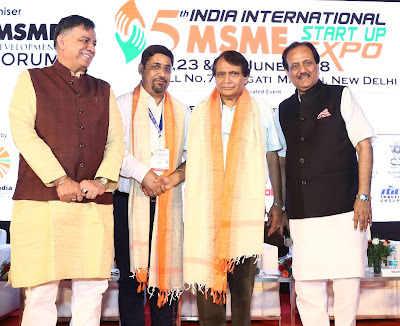 On the occasion, Minister of State (IC) PMO, DONER Dr. Jitendra Singh says, “The States which have not participated are not aware about the centre like MSME- DF. New media will be based on strong economy and livelihood. Promotion of MSMEs ventures is important for youth. Path breaking initiative have been taken by the government for MSME in development of economy. The agenda of the exposition is to promote entrepreneurship & self-employment to generate maximum job opportunities. The event will also provide one stop global platform to connect, network, partner and share information with Domestic & International SMEs to find new business opportunities in either country. The expo also aims to spread awareness about Government’s promotional schemes to make new Entrepreneur and transform job seekers to job creators. 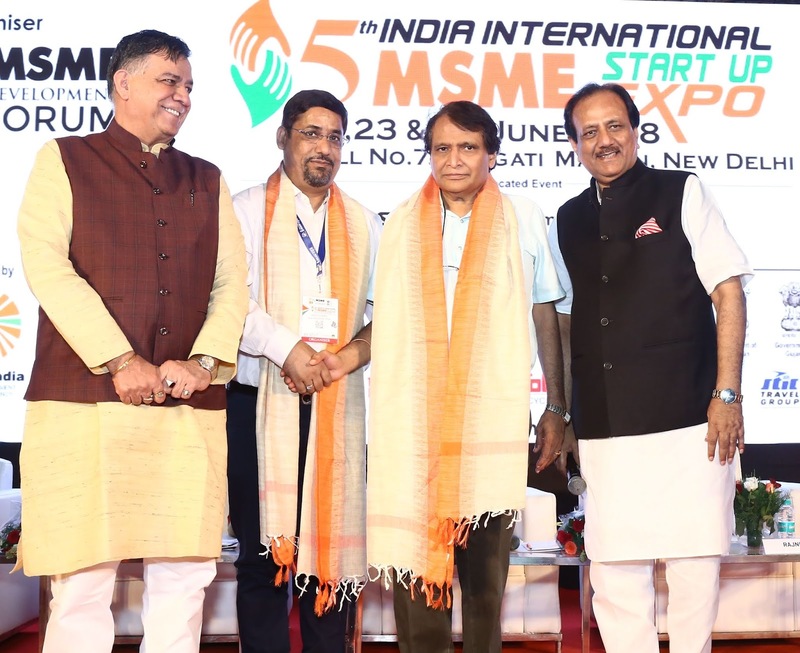 It accelerates growth of MSMES , Statups and Budding entrepreneur .In addition, it focuses to bring Small Entrepreneurs on a single platform and address their persistent issue and concerns. The agenda will also target to be the leading MSME Startup Advocacy Forum. These mega events will rediscover the Ease of doing business and Opportunities in different states of India. This triangular network will expand the spectrum of this Expo. Apart from this, Startup fest, Small industries trade fair, Funding & Finance fair, vendor development Fest and ease of doing business summit are also the main attractions of the event. Several Government department, boards and PSU are putting up there to booths educate and vendor development programmes and opportunities.